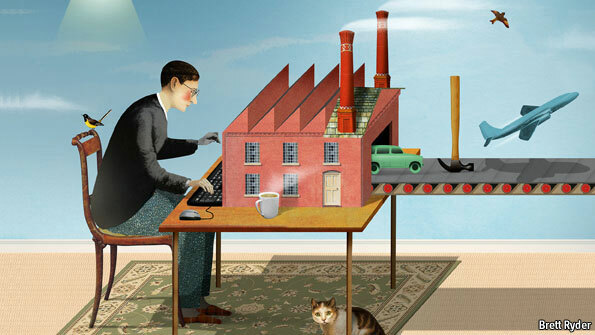 The third industrial revolution is in full swing. At Inventables it is our mission to simplify the process of going from idea to finished product. We believe this will further ignite this revolution. We believe this movement will be the primary driver of growth in our economy in the next decade. To understand this third industrial revolution it is important to understand the first two industrial revolutions. "THE first industrial revolution began in Britain in the late 18th century, with the mechanisation of the textile industry. Tasks previously done laboriously by hand in hundreds of weavers' cottages were brought together in a single cotton mill, and the factory was born." "The second industrial revolution came in the early 20th century, when Henry Ford mastered the moving assembly line and ushered in the age of mass production. The first two industrial revolutions made people richer and more urban." "Now a third revolution is under way. Manufacturing is going digital." At Inventables we see the factory moving to the desktop and we see analog machines becoming digital. The roots of this movement have it's start at MIT in 1952. Professor Neil Gershenfeld recognized the importance of this shift very early and established the Center for Bits and Atoms at MIT in 2001. This was visionary thinking at the time because as you might recall the Dot Com era created enormous interest and demand for research both academically and in industry in the field of digital media. The celebrated work at the time was going on at the MIT Media Lab. "In 1952 MIT created the first computer-controlled milling machine, based on early work on real-time computing. Since then, a variety of cutting tools have been mounted on moving platforms controlled by computers, including lasers, waterjets, and wires. More recently, additive manufacturing has been widely covered, with tools that can extrude filaments or sinter powders or cure resins. However, even though these processes use digital designs they are all physically analog, continuously depositing or removing material. In 1948 Claude Shannon created a mathematical theory of communication, showing that by dividing a continuous message into discrete symbols it can be sent reliably through an unreliable communications channel. In 1952 John von Neumann applied this to computing, showing that a digital computer can operate reliably with unreliable devices. The same is now happening for fabrication, with the introduction of fundamentally digital processes that can build reliably with unreliable materials by coding their construction from discrete components. These are being developed on length scales from molecules to buildings, promising unprecedented manufacturing flexibility, functionality, complexity, and reusability." 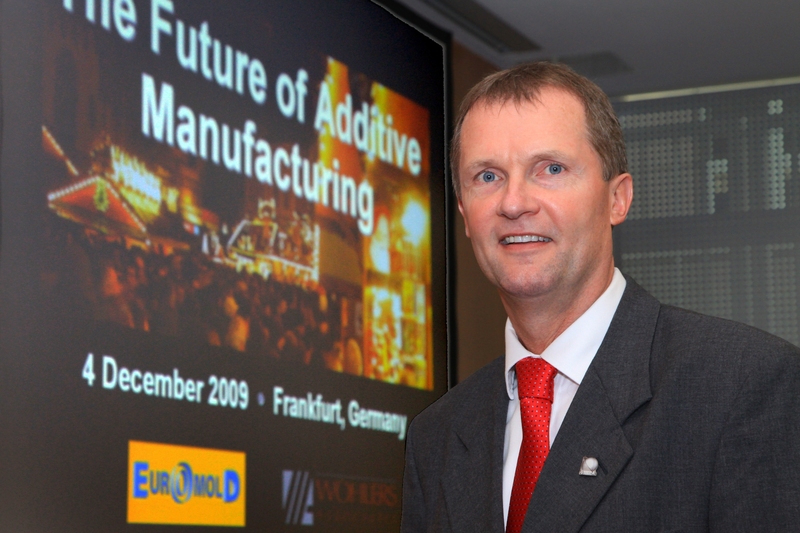 In 1997 the were 1057 3D printers sold at an average price of a $431,409 according to Terry Wholers who has been publishing an annual report on additive manufacturing since 1996. The 1998 report called out the number of machines sold and the total size of the industry. In 2013 we have a new class of digital fabrication tools at price points unheard of before. Entry level 3D printers start at $399. Pictured below is the Printrbot. At Inventables we currently sell four 3D printers ranging in price from $899 to $2,199. The parts that come off these machines look like plastic prototypes. Below is a photo provided by Makerbot of a snap together mini lamp that was printed by the Replicator 2. We are excited by the potential this technology has as it advances over the next decade. We believe killer applications will be in toys and in on demand custom products like jewerly. Paul Markillie has written extensively on how on an industrial scale these tools will bring the manufacturing of objects back to rich countries because the unit economics of digital manufacturing rival that of analog manufacturing and labor in countries where labor costs are lower. I recently took a tour of the Harley Davidson Factory in Kansas City and they are already using Robots and digital fabrication tools to manufacture motorcycles. I noticed during the tour of the factory that they are not using 3D printers in the manufacturing process but they are using a number of digital manufacturing tools that mill, bend, weld, machine, join, form, and inspect metal parts. A few of them use a robotic arm for articulated motion and some used an X-Y-Z axis table like the Shapeoko CNC milling machine below. The computer gives instructions for what coordinates to send the spindle and it complies. Here's a quick video of the machine milling a circuit board. Many of these other digital fabrication tools have come down in price and are now accessible to a wider audience. 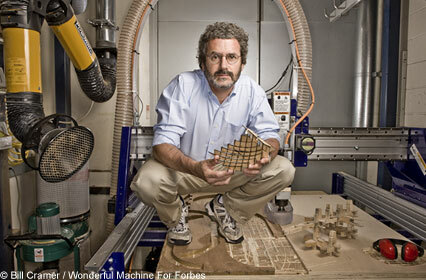 Last year we launched the Shapeoko CNC Mill invented by Edward Ford. The basic mechanical kit costs $225 and the full kit $600. The machine can cut plastic, wood, and soft metals. 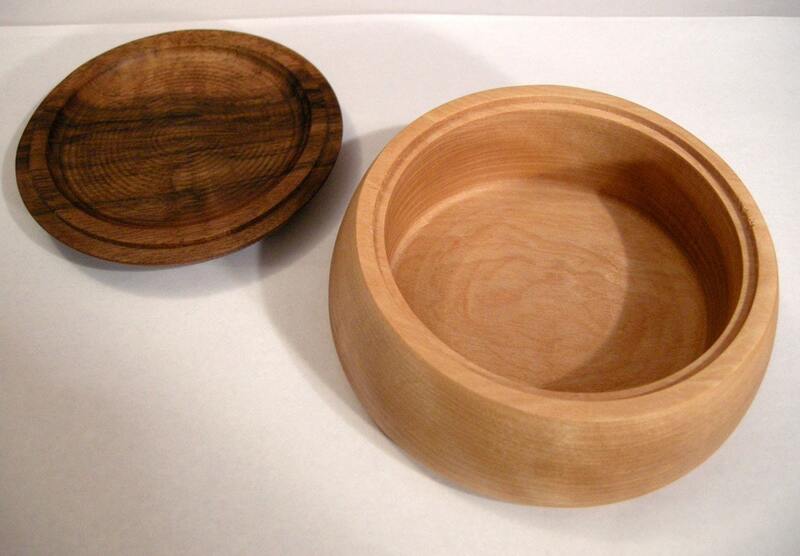 Below are two products made from 3/4" bamboo manufactured on the machine. 3D Printers do additive manufacturing building their parts up layer by layer. This mill is just the opposite. It starts with a block of material and removes the sections that are not needed revealing the final part. 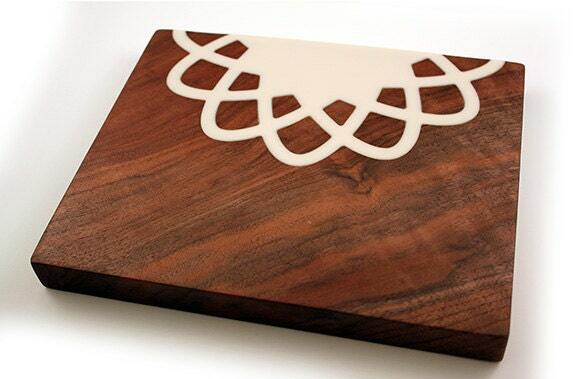 We are excited to see designers use CNC milling to create products they sell. Matt Kennedy from Portland Oregon has an incredible store on ETSY founded by Rob Kalin with former CTO Chad Dickerson now at the helm as CEO. From our point of view Rob Kalin is a revolutionary. His vision for ETSY now fundamentally changing our economy. We are watching ETSY make it possible for custom manufacturers to sell their products. They have aggregated demand for custom goods. What started as hand made goods is gradually moving towards custom goods. Digital manufacturing tools make it possible for designers like Matt Kennedy to create bowls and serving trays like the ones below. These products are nicer and more unique than products you would find at Target or Wal-Mart but at similar prices. The bowl below retails for $32. An uglier wood bowl at Target without the top retails for $29.99. We're also seeing designers use laser cutting machines as the backbone of their business. The laser cutter below retails for $2350 or financed about $75 a month. Using this machine designers are selling all sorts of unique products. 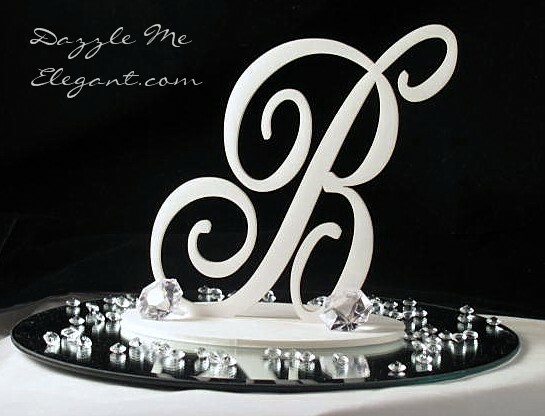 Mia DeWulf has a company called Dazzle Me Elegant where they produce custom wedding cake toppers and centerpieces like the one below. 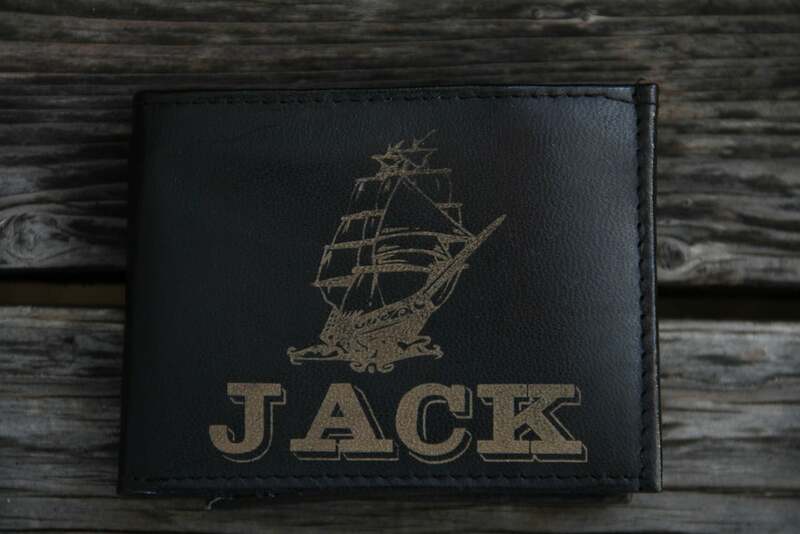 Matt McCoy from Mini Fab in Arlington, Texas uses the laser to customize products like leather wallets. 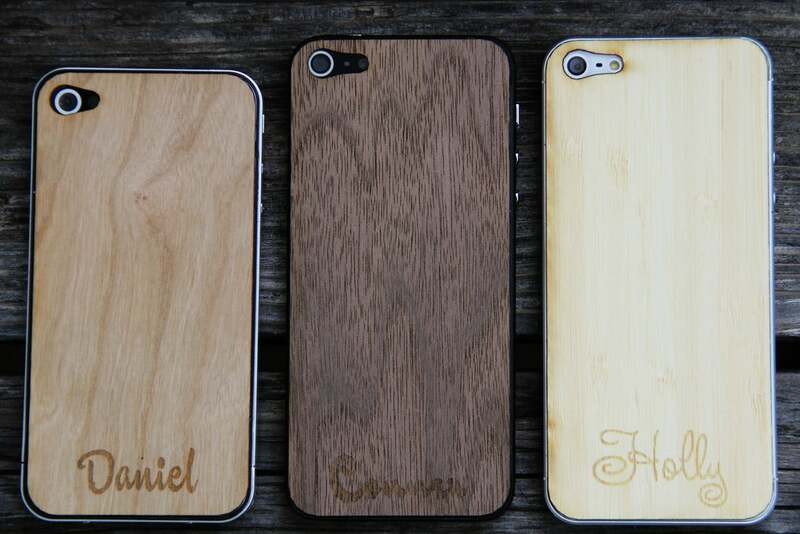 He also creates custom laser cut and engraved iPhone covers. We recently sold a lab full of Shapeoko CNC mills to IIT. They are using it to teach students how to design and manufacture parts that can be cut out on a CNC Machine before turning them loose on a larger machine like the one below. We expect this trend will continue and more universities will start training students on digital fabrication tools. These tools will start to go from the traditional shop and into the classroom and even the dorm room. We have already seeing this happen in industry with automotive giant Ford putting a 3D printer on every engineers desk.